Do I Really Need Treatment for Marijuana Addiction? 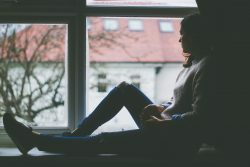 Home › THC › Do I Really Need Treatment for Marijuana Addiction? If you're experiencing signs of marijuana addiction, you should receive professional treatment before the drug takes over your life. Weed, a slang term for marijuana, is an illegal drug known to cause dependence and addiction. However, do you really need treatment for weed addiction? If you cannot get out of bed without the promise of a “wake and bake,” it is time to admit you have a problem. Bottom line: if you are showing signs of addiction to weed, then you need treatment. If you notice any of the following signs of severe weed addiction, then you do really need treatment for your marijuana addiction. To find treatment, call 800-609-2774. We will happily answer all of your questions. Do You Have Poor Motor Control? If you notice yourself dropping things or missing when you reach for something and you have not smoked yet, then this may indicate you have motor neuron damage from smoking marijuana. It is correctable if you seek treatment early enough. Do You Have Poor Short-Term Memory? Marijuana use can cause brain damage, leading to memory issues. Occasionally walking into a room and forgetting why you went there or what you were looking for is normal. Forgetting what you did five or ten minutes ago is not. If you find yourself constantly forgetting things or forgetting what you were saying, it is a sign that your marijuana use is damaging your brain. Do You Experience Withdrawal Symptoms When You Stop Using Marijuana? When your brain becomes dependent upon a drug, it gets mad when you take the drug away. This anger is channeled into physical and mental signs of withdrawal. If you experience withdrawal symptoms when you stop using, you are, at the very least, dependent. Additionally, marijuana withdrawal is unpleasant and many people relapse when they start to experience it. Are You Willing to Do Things That You Normally Wouldn’t to Get Weed? According to the Mayo Clinic, if you engage in high risk behaviors to use or obtain a drug, you need help to stop using. All of these behaviors are hazardous and have serious consequences. Do You Have Difficulty Performing Complex Tasks or Thinking Clearly? According to the National Institute on Drug Abuse’s Marijuana and Cannabinoids Neuroscience Research Summit, frequent, persistent, and early use of marijuana causes cognitive impairment. Although this impairment is usually subtle at first, it grows as time goes on. An inability to think or perform tasks is a sign of serious damage to your central nervous system. Treatment can help to reverse this damage. If you suspect that you really need treatment for your weed addiction, you do. Suspecting that you are in need of treatment is usually a clear sign that something is very wrong and you know that your marijuana use has become problematic. Finding treatment for marijuana addiction is as easy as picking up the phone. Call us at 800-609-2774. How Do I Spot Signs of THC Abuse in My Teenager? - If you think your teen is using THC, it's important to know the warning signs so you can get them the help they need.